Bee Pest Control The Hills District, Sydney. Looking for a family pest control firm that specialises in getting rid of bees in the Hills District area? We are based in Bella Vista. Spring Special! $250 for areas of bee infestation within normal ladder access in metro Sydney. We will get rid of bees & wasps and ensure they won’t return through safe Bee Hive Removal. Protect your family or staff by calling us today. Most jobs we can remove or control hives on the same day. To get booked ASAP call 0417 251 911 or email bruce@a1pestcontrol.com.au. These rates won’t last! You’re here looking for Bee Pest Control? 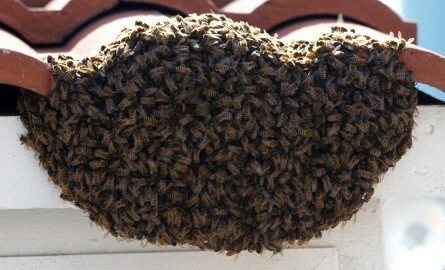 The Hills District is experiencing a high incidence of bee swarms. Don’t try to exterminate bees yourself, go with a local, trusted team instead and get it right from the start. Bees and wasps can cause painful stings, and in people that are allergic to them, it could get even worse! For over 35 years we have been safely treating bees and wasps with highly effective low toxic treatments. 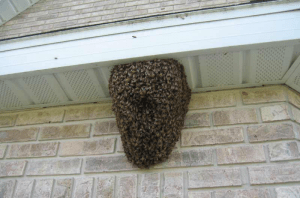 Bee hive control in houses and chimneys are our specialties. We service the whole region, including: Winston Hills, Kenthurst, Baulkham Hills, The Ponds, Kellyville, Bella Vista, Rouse Hill, Kellyville Ridge, Beaumont Hills, Stanhope Gardens, Carlingford, West Pennant Hills, Cherrybrook, Pennant Hills, Castle Hill, Round Corner, Dural, Parklea, Glenhaven, Kings Langley, Glenwood Galston, North Rocks, and Glenorie. The Hills area is also called just “The Hills” and “The Hills Shire Sydney”.